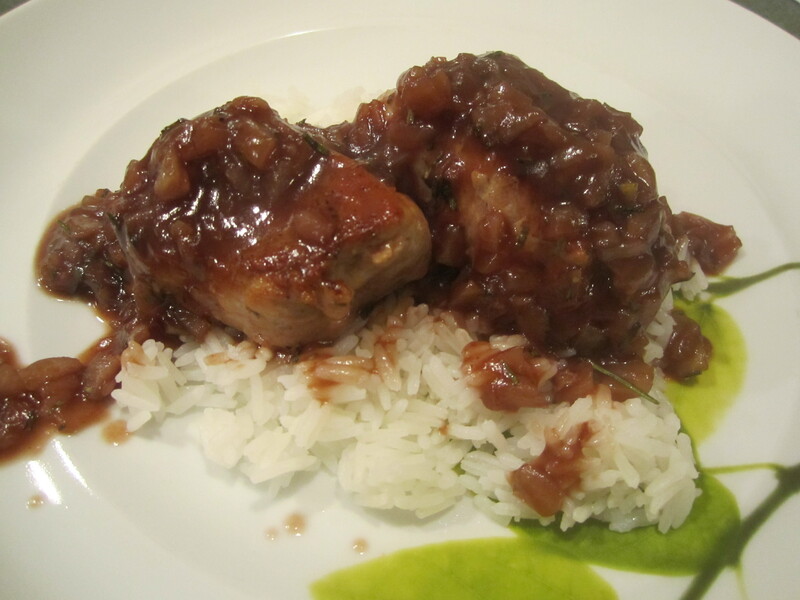 This is a great recipe from Bon Appetit. Not too many ingredients and simple to prepare. I do not roast the tenderloin like it says in the recipe. 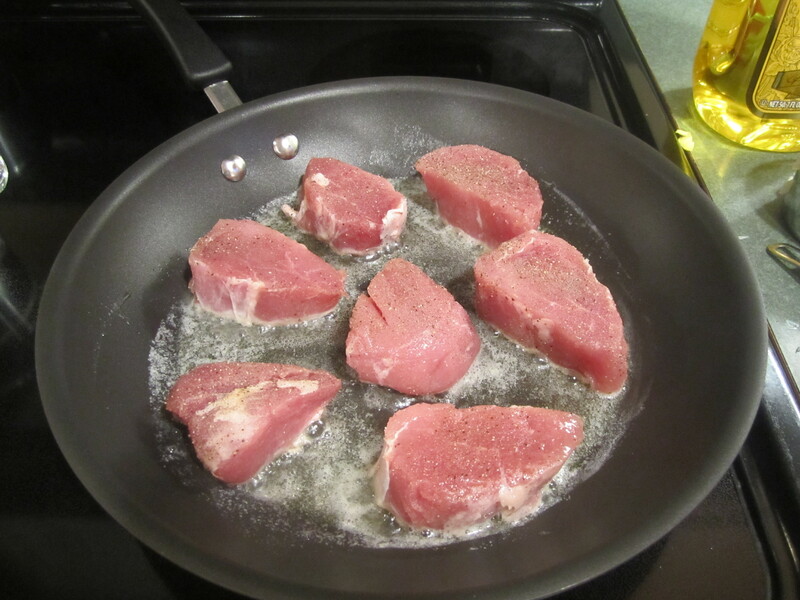 I slice the pork into medallions and saute them. If you choose the roasting method, make sure to check out the comments from readers. It may take longer than the recipe states. 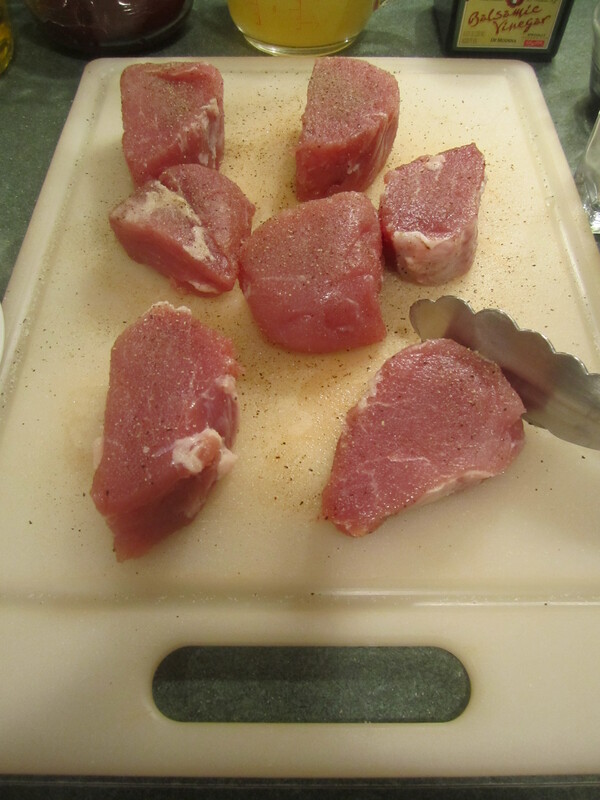 Cut the pork tenderloin into 1-1/2 inch medallions. Salt and pepper both sides. Heat a medium large saucepan on medium heat and add 1 tablespoon of butter and 1 tablespoon of oil. Heat butter and oil until hot. 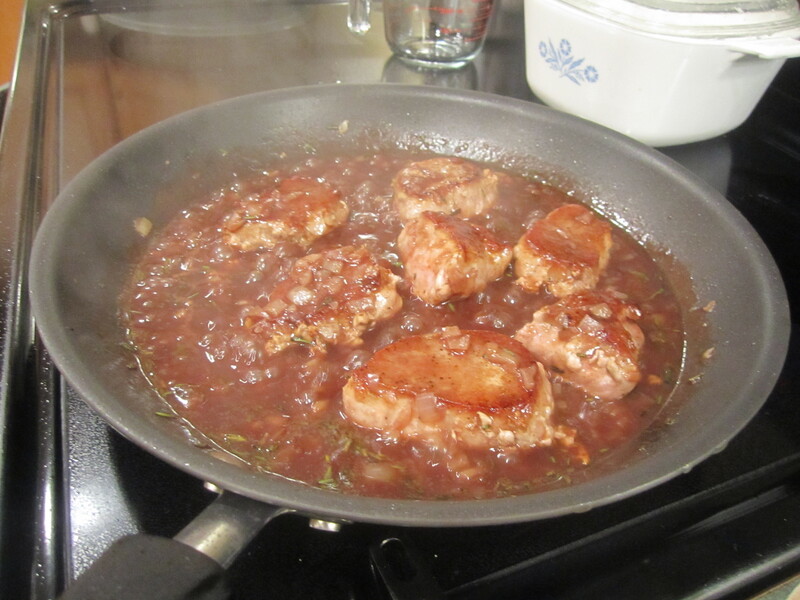 Add pork tenderloin medallions, and saute for about 6 minutes on each side. They should be slightly pink in the middle, until thermometer inserted into center registers 155 degrees. Set aside on a plate. Clean out pan. Place cleaned pan back on medium heat and add the other 1 tablespoon of butter and 1 tablespoon of oil. Heat until hot. 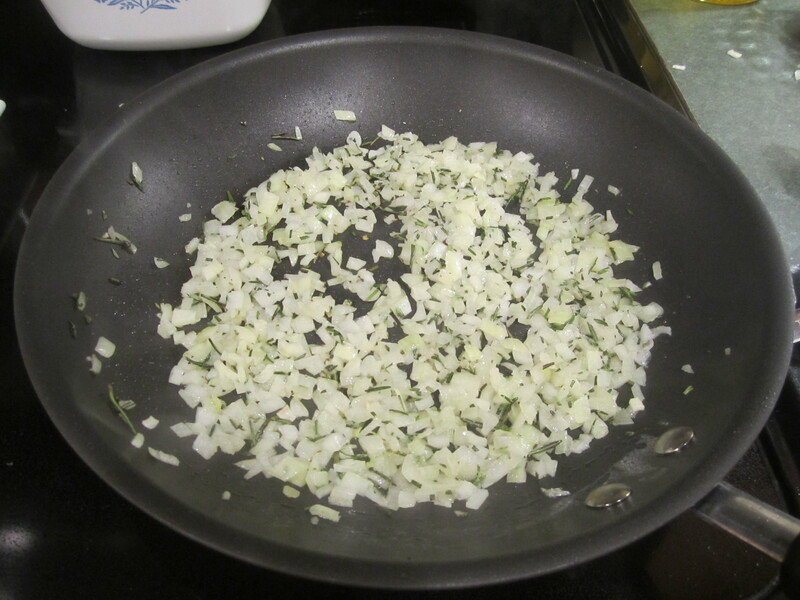 Add onions and rosemary and saute for 5-6 minutes, until onions are tender and slightly brown. 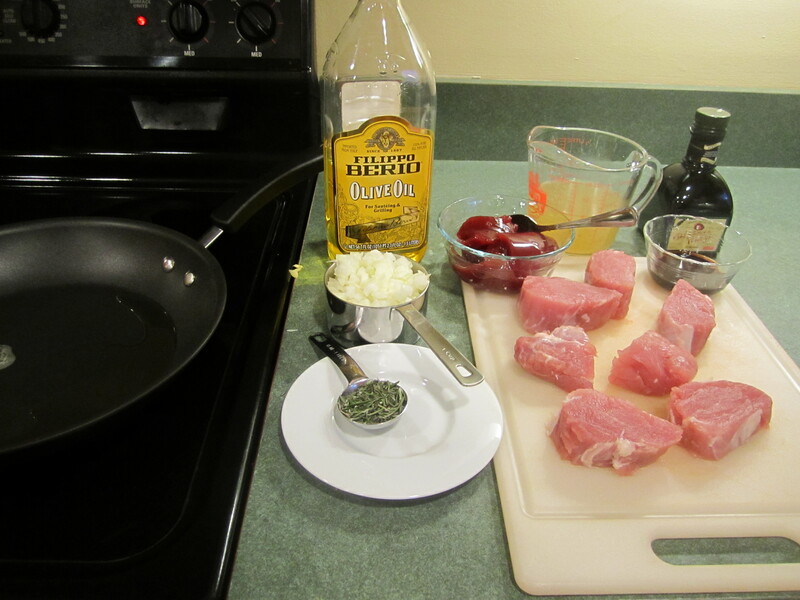 Add broth, cranberry sauce and vinegar and stir together. 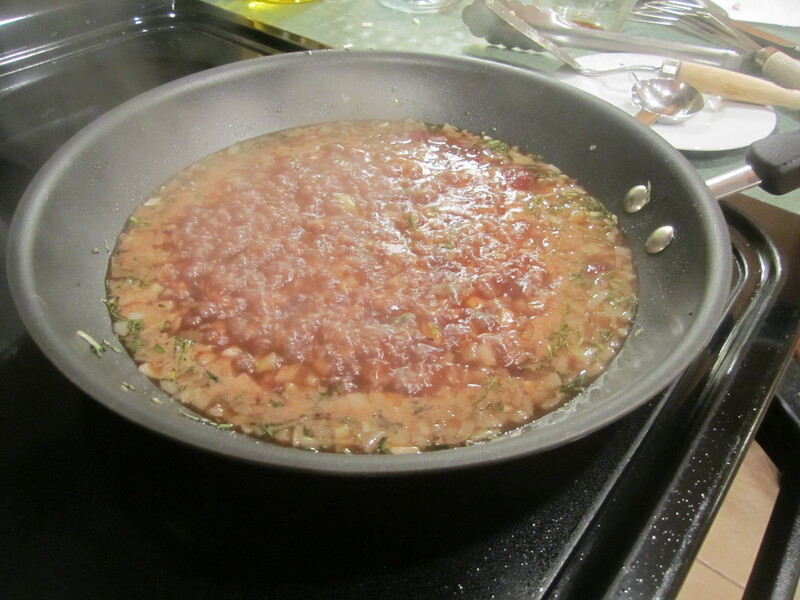 Increase heat and boil for about 6 minutes, until sauce is thick, stirring occasionally. 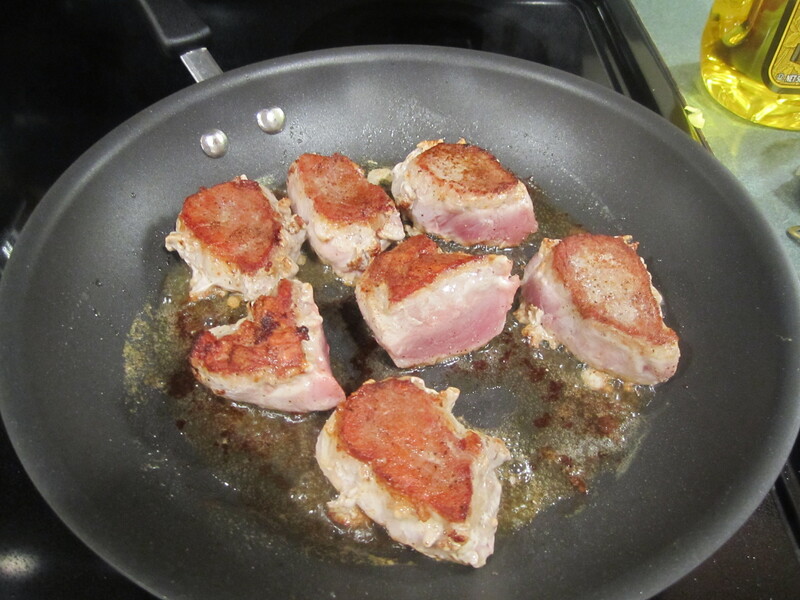 Return pork to pan, turn off heat (if you have electric, if gas put it on very, very low). Do not remove pan from heat. 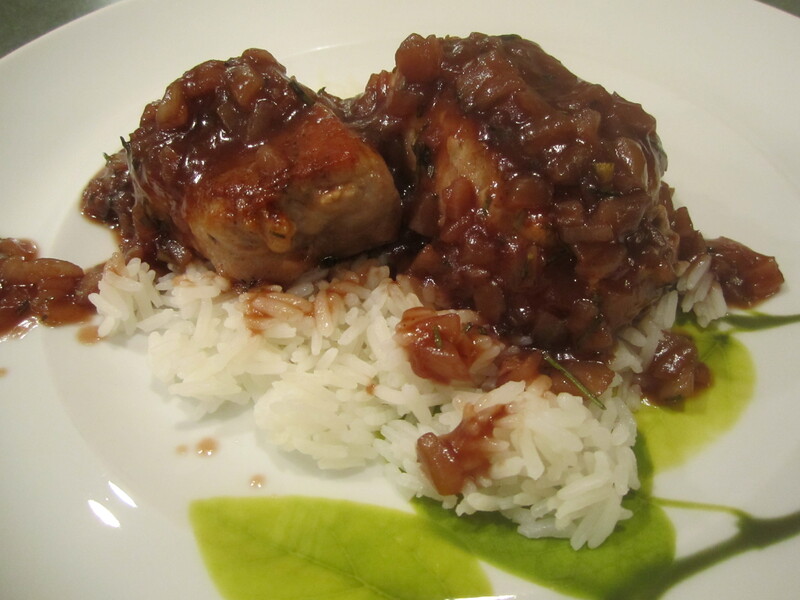 Coat slices of pork with sauce, warming the pork for about a minute. Serve immediately, over rice, if desired.